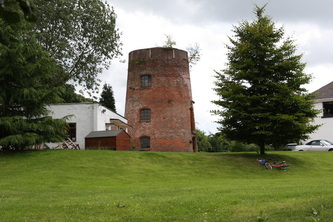 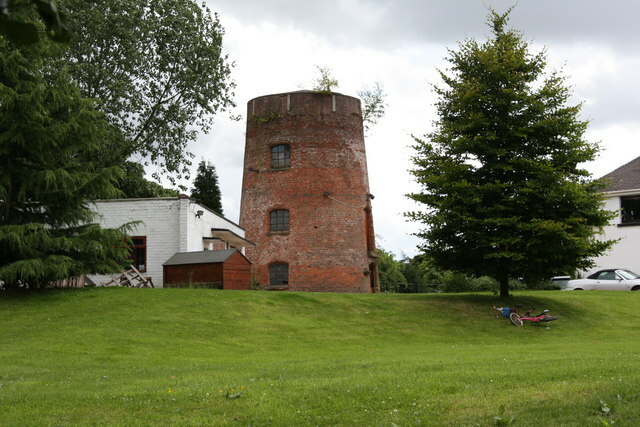 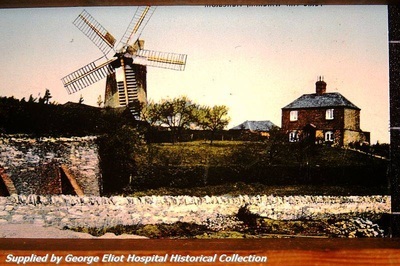 Whilst not technically a Hall or Castle, Tuttle Hill Windmill is an historic local building which occupies a prominent position on the Oldbury-Hartshill ridge overlooking the River Anker floodplain upon which Weddington Castle was situated. 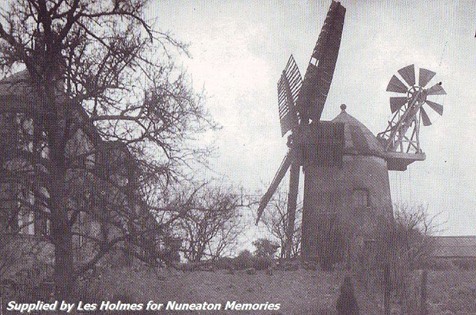 It is a well-known building of interest in Nuneaton, and for this reason the building is included in this section. The Tuttle Hill Windmill has a red brick tower and was built in 1821. 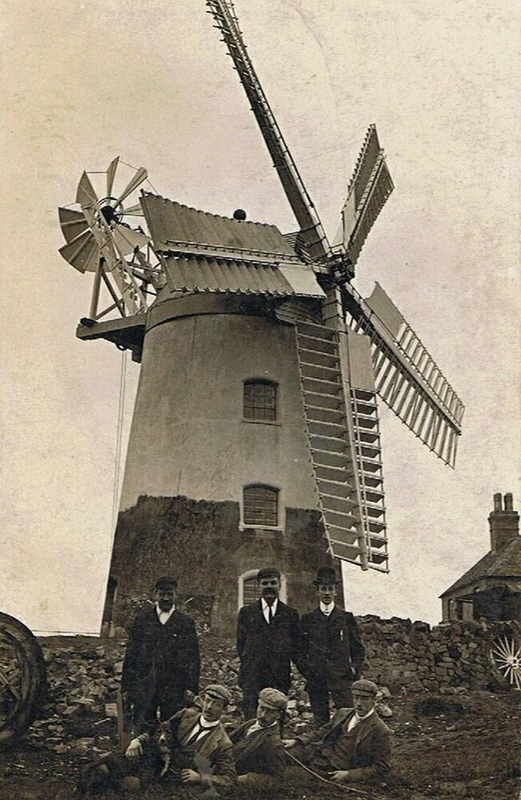 It originally had 4 common sails but was rebuilt after a storm in 1905, with iron machinery and 5 sails. 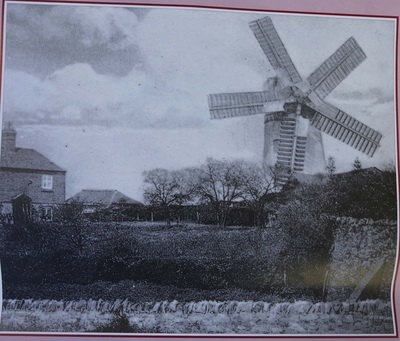 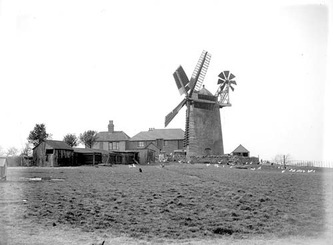 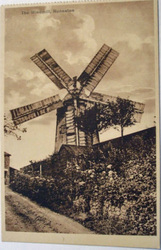 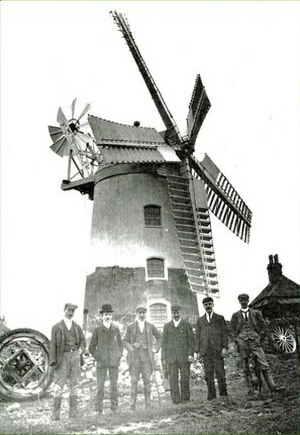 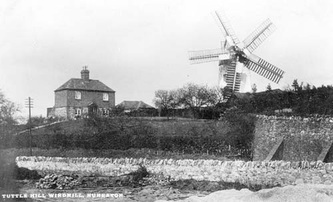 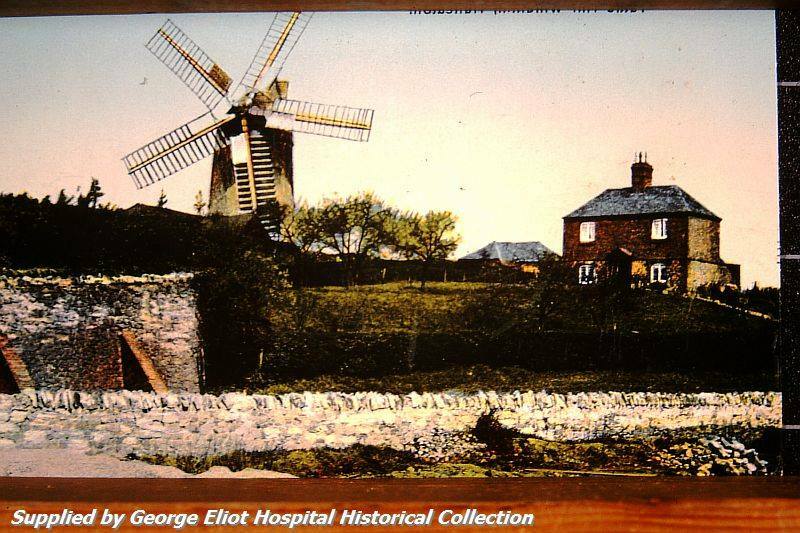 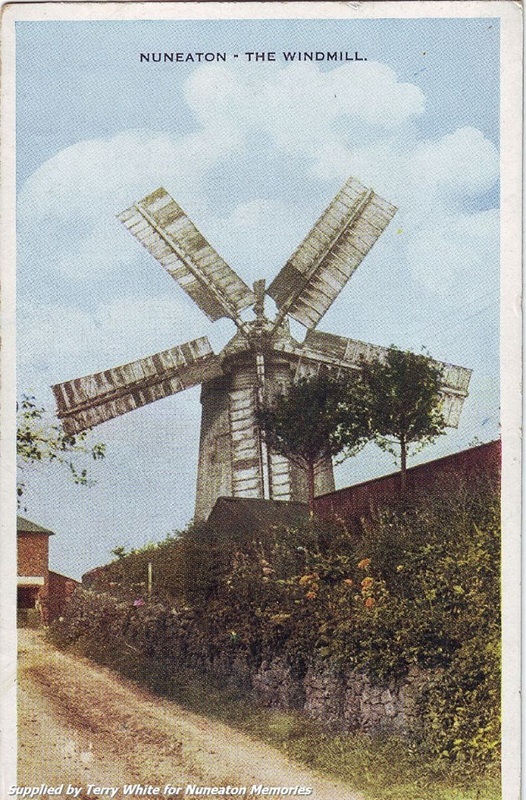 The Windmill stopped working after further storm damage in 1936. 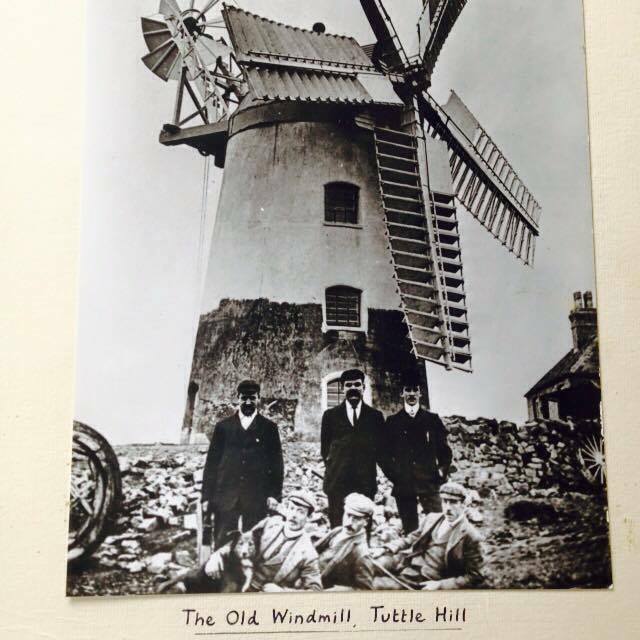 This occurred on 9th January when a severe storm blew one of the five sails of the Windmill on Tuttle Hill, and this was never replaced. 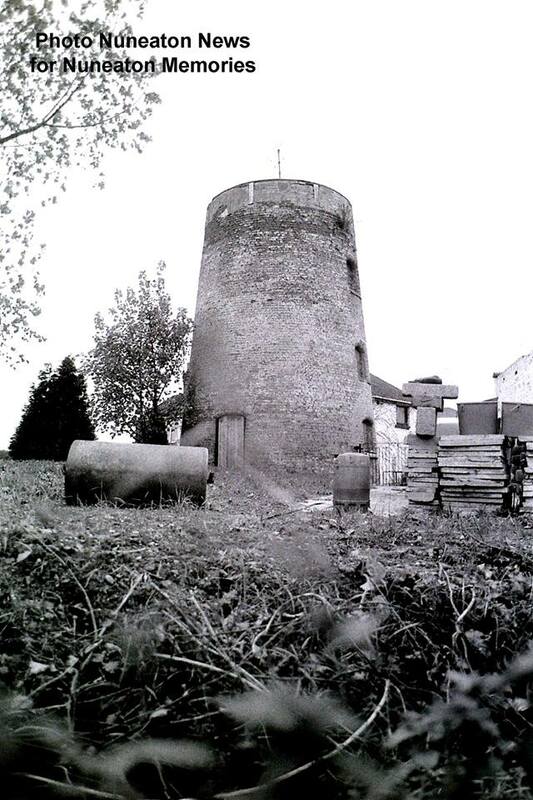 This was a significant event as it was the last working windmill in the Borough and one of the last in Warwickshire (indeed its historical interest goes back to the C18th: there had been a flour mill on this site since the 1720s). 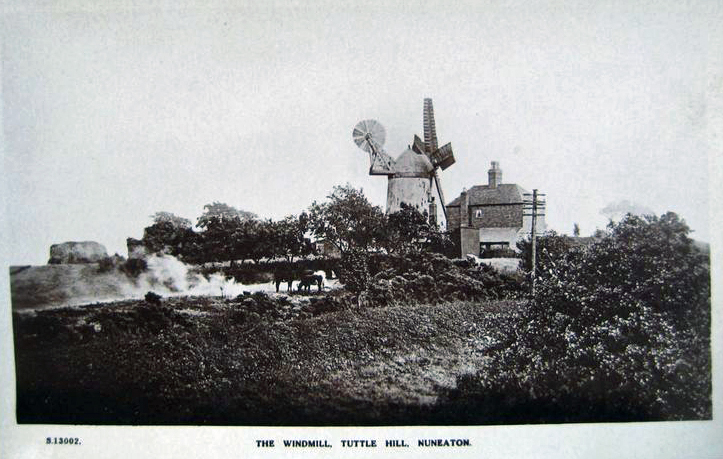 On 7th March 1936 Thomas Wright (the miller at Tuttle Hill) died, and on the 8th June a new electric motor was fitted to the Windmill to grind corn electrically. Members of Wrights family say this was brought on by the stress of that night when his beloved windmill was so badly damaged. 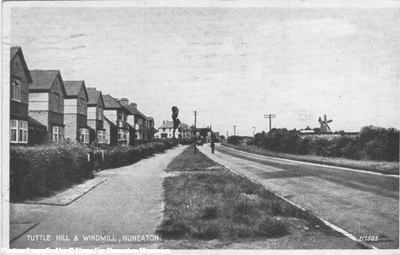 The Wright family originated in Cheshire and were brought to Nuneaton by the Tompkinson family when they acquired the Manor of Nuneaton. 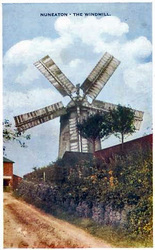 The windmill, however, was leased from the Caldecote estate. The Windmill continued in its long tradition of grinding corn (albeit electrically since its storm damage) right up until February 1976. 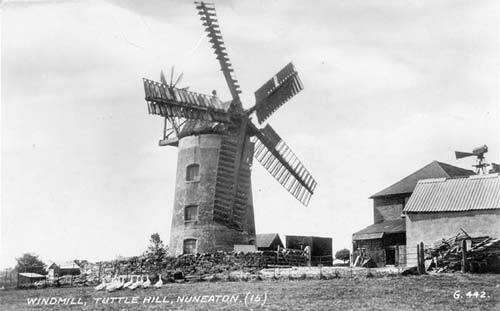 You can view the Warwickshire County Council Historic Environment Record on Tuttle Hill by clicking here.